ivalus Iso-Clean is a clean and pure whey protein isolate powder that not only tastes great but keeps you looking your best all the time! 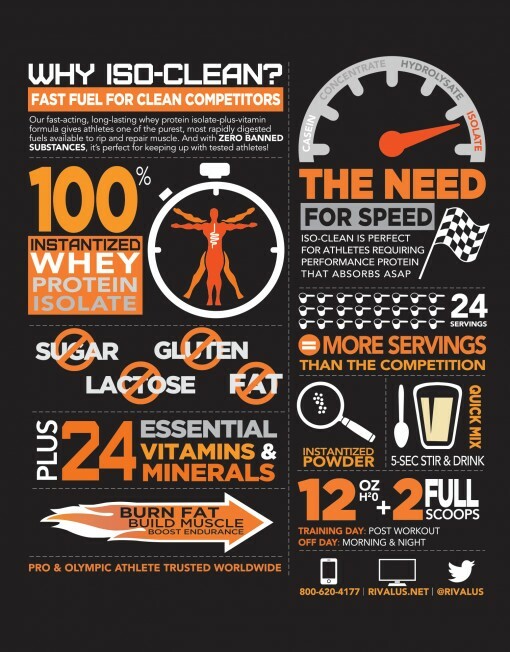 Iso-Clean is perfect for those who are looking to increase their protein intake while keeping the fat and carb intake to a minimum. Our fast-acting, long-lasting whey protein isolate-plus-vitamin formula gives athletes one of the purest, most rapidly digested fuels available to rip and repair muscle. And with ZERO BANNED SUBSTANCES, it’s perfect for keeping up with tested athletes!